If you file the FAFSA earlier, you’ll have an earlier indication of how much your family is expected to contribute, which will help with budgeting for the upcoming school year. You can also use the EFC with our Net Price Calculator or Transfer Cost Calculator once completed to estimate your costs. You will use prior year tax and income information. For the 2019-20 FAFSA, you will be required to report prior year tax and income information. On the 2019-20 FAFSA, you — and your parent(s), as appropriate — will report your 2017 tax and income information. This will make the FAFSA easier because you have already completed your taxes, you may be able to automatically import your tax information from the IRS into the FAFSA. First you must obtain an FSA ID, which is an Electronic Signature for both Student and Parent(s) if dependent. You need an FSA ID when logging into certain Department of Education websites. Create an FSA ID now. Remember: An email address can be associated with only one FSA ID. Why? The FSA ID is used to electronically sign documents such as loan promissory notes (which establish the binding legal obligation for the loan debt). Therefore, it is extremely important that any communications related to those documents or that FSA ID go to the correct person. Similarly, make sure you don’t let anyone else know your FSA ID or create it for you because you’ll be putting yourself at risk of identity theft or — at the very least — at risk of not knowing how to sign into your own accounts. Include your mailing address, e-mail address, telephone number, and language preference. For security purposes, provide and create answers to five challenge questions. Complete a Free Application for Federal Student Aid (FAFSA) every year. 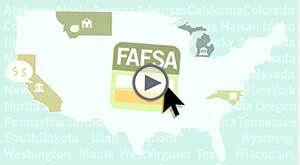 The FAFSA is available online at http://www.fafsa.ed.gov. Login with your FSA ID. This web application automatically prompts applicants to enter all required fields and questions any discrepant data. Renewal applicants may access their Renewal FAFSA at this site using their FSA ID. University of Lynchburg uses your FAFSA data to determine your eligibility for institutional aid. We highly recommend using the IRS Data Retrieval tool for submitting your financial information on the FAFSA if you filed taxes. Click on the “Link to IRS” button (you will be directed that you are leaving the FAFSA webpage). Enter the information asked by the IRS page and then click “Transfer Now” to FAFSA. *If you only wish to receive merit aid you do not need to complete the FAFSA.